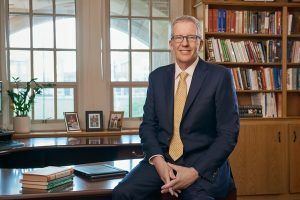 Michael D. Johnson, Ph.D. has been elected by the John Carroll University Board of Directors as the institution’s 25th president. The Board approved the decision on December 6, 2017. Dr. Johnson will join John Carroll on July 1, 2018, with an appointment that runs through 2023. Dr. Johnson currently serves as Provost of Babson College, the top-ranked school for entrepreneurship in the United States, where he is also Professor of Marketing. Prior to his role at Babson, he served for ten years as Dean, E.M. Statler Professor and Professor of Marketing at the Cornell School of Hotel Administration, a global leader in hospitality education. Dr. Johnson was a Professor of Marketing at the University of Michigan for 24 years, where he became the D. Maynard Phelps Professor, before joining Cornell University in 2006. He earned a doctorate in behavioral science and marketing and an MBA from the University of Chicago Booth School of Business, and a bachelor’s degree in economics and psychology from the University of Wisconsin-Madison. Dr. Johnson was appointed following an extensive national search led by John Carroll alumnus and chair of the Board of Directors, Michael Merriman. Johnson will also join the faculty as a Professor in the department of Management, Marketing and Supply Chain in the Boler School of Business. “Dr. Johnson was a transformative academic leader while Dean at Cornell, and will build upon John Carroll’s distinctive programs and strengths,” says Merriman. 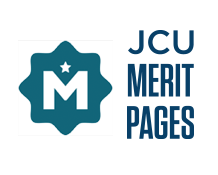 “Known for his transparent and collaborative leadership style, Dr. Johnson has excellent operational management, planning, and financial skills,” he adds. In his new role, Dr. Johnson has the full support and endorsement of the Very Reverend Brian Paulson, S.J., Provincial of the USA Midwest Province of the Society of Jesus. Dr. Johnson will succeed Jeanne M. Colleran, Ph.D., who has been serving as interim president since June 2017, when president Rev. Robert L. Niehoff, S.J., retired. A 12-person Presidential Search Committee included members of the John Carroll University Board of Directors and its Jesuit community, as well as students, faculty, staff. It was conducted with the assistance of search consultant firm Issacson, Miller. For more information on Dr. Johnson, and to view his welcome video, visit https://presidentialsearch.jcu.edu.